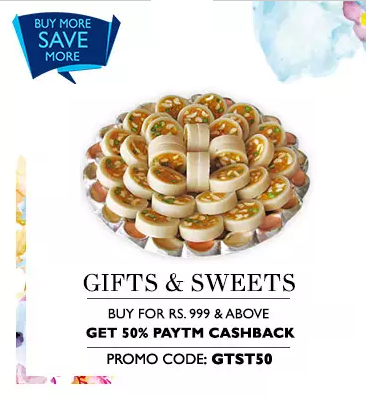 PayTm is offering Gifts & Sweets upto 30% off + Rs. 500 cashback on Rs. 999 only.